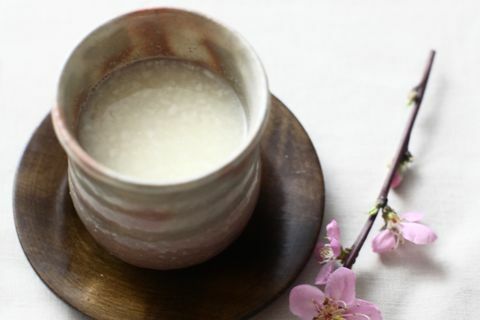 Amazake is a Japanese super healthy drink made from fermented rice. No sugar added but it's sweet and delicious! Amazake has many health and beauty benefits so I drink it everyday. 1. Wash the rice with running water over 5 times until there is no more white rice starch coming out of it. 2. Drain the water and place the rice and 3 cups of water into the pot ( I use Le Creuset) . 4. When it comes to boil, reduce the heat to low and cook 12-13min. 5. After turning off the heat, let stand for 15min with lid. 6. Stir well and allow to cool to 140F (60C). 7, Add the rice koji and stir well.